test coupons since a minimum tensile value is required for procedure qualification. QW-420.2 S-Numbers. 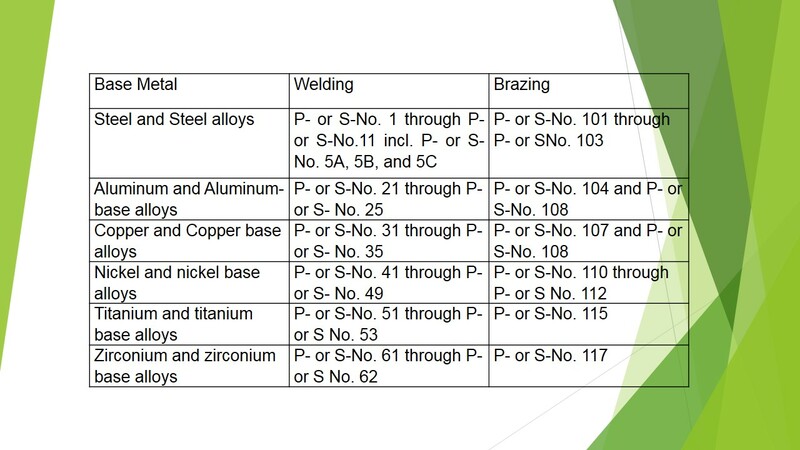 S-Numbers are assigned to materials that are acceptable for use by the ASME B31 Code for Pressure Piping, or by selected Boiler and Pressure Vessel Code Cases, but which are not included within ASME Boiler and Pressure Vessel Code Material Specifications (Section II). 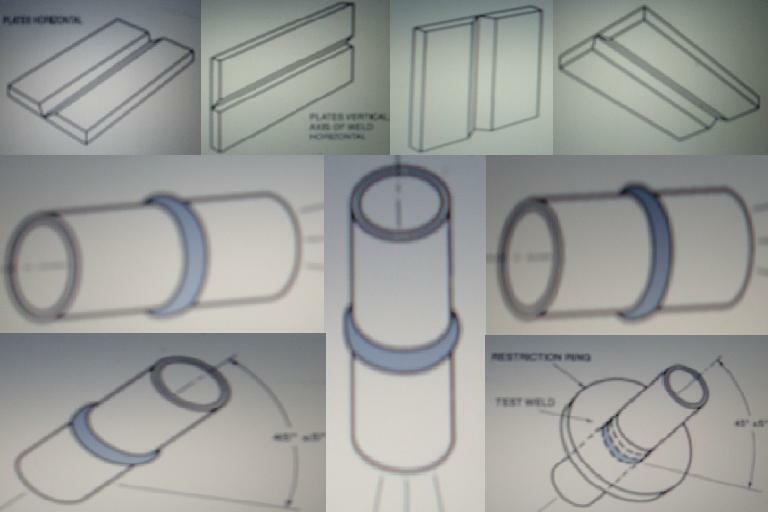 Material produced under an ASTM specification shall be considered to have the same S-Number or S-Number plus Group Number as that of the P-Number or P-Number plus Group Number assigned to the same grade or type material in the corresponding ASME specification (i.e., SA-240 Type 304 is assigned P-No. 8, Group No. 1; therefore, A 240 Type 304 is considered S-No. 8, Group No. 1). Some variables and figures may not specifically address S-Numbers. When this occurs, the requirements regarding P-Numbers and P-Number Group Numbers shall apply equally to materials that are assigned to corresponding S-Numbers and S-Number Group Numbers. However, if procedure qualification testing was done using material assigned an S-Number or S-Number Group Number, the range qualified is limited to materials that are assigned S-Numbers or S-Numbers Group Numbers (i.e., qualification using a P-Number material qualifies corresponding S-Number materials; qualification using an S-Number material qualifies corresponding S-Number materials but not corresponding P-Number materials; qualification of welders using a P-Number material qualifies them to weld on corresponding S-Number materials and vice versa). Nag-kaconduct po ba kayo ng training about ASME IX OR AWS?